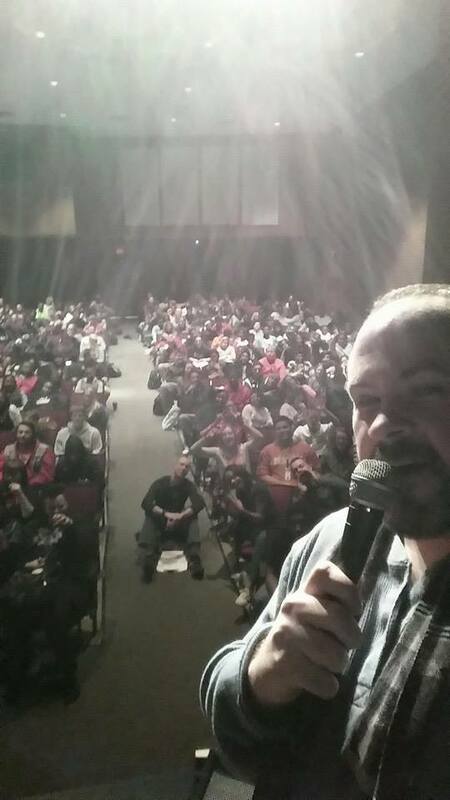 Last Friday I had the pleasure of being a guest speaker at Hazelwood West Writer’s Week, a week long conference devoted to writing here in St. Louis at a local high school. I spoke a bit about finding your audience and how when I wrote my first book, I thought it would be an overnight success (Why isn’t Oprah calling?!?). I wasn’t prepared for the hard work that lay ahead and that honestly wouldn’t be accomplished with the publication of just one book. I told them the chances of being an overnight success with just one book (Think Harper Lee!) are pretty slim these days, but that if it happened to them to please let me know how they did it! With today’s technology-dependent society, your audience is whoever’s attention you have right this moment, just like my audience that day was an auditorium full of creative young minds. And today my audience is you – the person taking the time to read this blog post. In Write or Wrong Part 16, author Margo Dill talked about building a platform and how she’d done it all wrong because she wrote the books she wanted to rather than approaching her writing from the angle of just one genre. And I’ve done the same thing over the years. My first book was a coming-of-age tale, the second was a romantic comedy, the third was a family psychodrama, and my most recent was a historical fiction Gothic mash-up. Yeah, had I given a writing career some serious thought from the beginning and took a little more time to think it all out, I probably would have stuck to one genre but I never intended to write a sequel. Not ever. I’ve been asked that question with all of my books before: “Will there be a sequel?” And the answer was always no. But then what did I do after I wrote Dickinstein? I wrote a sequel to Stealing Wishes which is hopefully due out just as an Ebook later this year. But even then, I didn’t write it with my audience in mind. I wrote it just because one writer friend happened to plant a bug in my ear that it would be cool to know what happened to one of the other characters. So I got to thinking about it and the story just popped into my head, and so I wrote it. I’ve been a published author for 12 years and I can honestly say I still don’t know who my audience is. And it’s constantly changing and growing. Sure, there are those group of readers who are friends or family who I can count on to read my books every time. Their opinions are just as important to me. But it’s the people I don’t know that make up the majority of my audience whose opinion shoulder matter even more, right? Sometimes they are a bit more honest and up front since they don’t know me either. Yesterday I received a “fan” email from one of the students at the high school thanking me for speaking at the event. He also told me how some of the things I said really affected him as a writer. And that’s what it’s all about. If I made a difference in just one person’s life, then it was worth it. And I like to think that my books are the same way. If I get feedback from just one person, if I find out how one of my books touched just one person emotionally, then I know that book was a success in a sense. Stephen King was once asked how he writes. He’s reply was: “One word at a time.” Seems kinda funny, but he meant it. And it’s true. There’s no other way to do it. You have to write one word at a time and you have to stick with it. And sometimes the words come more easily than others. I’ve always said it’s one of the most lonely tasks ever. You chain yourself to your desk and you just have to let the demons lose. You shut out the world and make the cursor move. One word at a time. But the best part comes when you are done and you smoke that celebratory cig or take that cold swig of coffee and you shed your chain and you lean back and smile at what you have created. And then you open the door and hope that your audience has been patiently waiting. And you say here I am! Read what I wrote! I made fire. Now give me your applause or piss on it and put my fire out, because either way, I didn’t write this for you. I wrote it for myself, damn it. Next I’m tired of coffee.